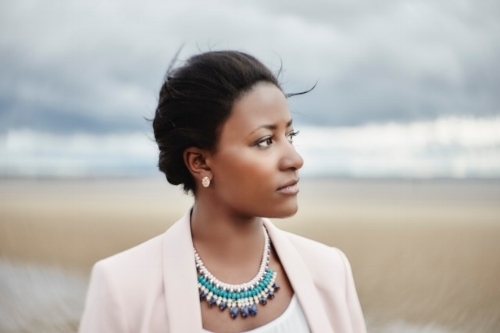 Josephine Oniyama has released the lead-off single, 'Til You – it will appear on her as-yet-untitled new album. I speak with her about the song and how it all came together; what the music scene is like in Manchester – and how Oniyama got into music in the first place. She talks about appearing on Jools Holland’s Later… and how her music has developed since her album, Portrait. 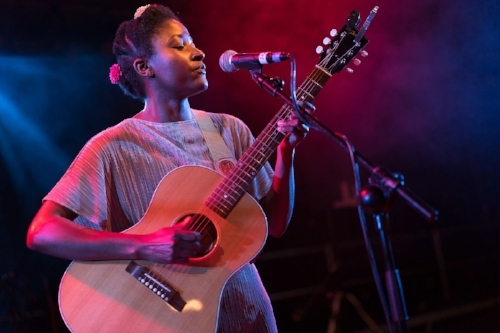 I find out more about the twelve-year-old songwriter who first connected with the art and kindled that passion; picking up the guitar her mum bought her and immersing herself in music. Oniyama talks about some of the musicians who have helped bring her songs to life and plans for the future. Hi, Josephine. How are you? How has your week been? The new song, 'Til You, has had some wonderful feedback - and the weather’s not too shabby. I’m from Manchester. I did lots of touring with my album, Portrait, throughout 2013/'14. The album was the culmination of many years of writing and performing (have a listen). It’s great, now, to be releasing some new music though - and gearing up towards a new album. I believe an album will follow. Do you have a title yet and ideas for songs – or is it coming together gradually? I like to let it depend on how the collection of songs works as a series. 'Til You follows your critically-lauded album, Portrait. There were some big collaborators on that record. How did you come to meet them all and what was it like having so many unique artists on your record? Well. Most came about through suggestions from management etc. as I didn’t really know anyone in the industry before making Portrait - I was just a gigging musician, so I needed introductions. I met some great people, producers; songwriters etc. like Ed Harcourt, Leo Abrahams and Crispin Hunt. They all helped to make the album what it was. Following the album’s release; you played at some great festivals and performed on Jools Holland’s Later… What was your most-cherished memory from that time? It was all a bit of a blur really - but it had taken many years to get Portrait out and I was just really proud of the release and the way it turned out. So, I suppose the highlight was just having the album in my hands - and seeing it on the shelves and online as a finished thing. What is inspiring your songwriting right now and how would you say your work has changed since your debut-album stage? I’ve learned a lot since the last album and, with songs, I’m just trying to keep it simple and deliver a straightforward sentiment. I understand the importance of melody much more than I used to (also) - so I’m always listening out for great melodies and thinking ‘I wish I wrote that’. But, hopefully, those things inspire something new in me. I understand your music passion began at the age of twelve. Was there a single moment that began that love for music? I think that music was always something that was there, from Day One. I got my first guitar around that age - so I had some means of channelling what was probably already there. Manchester is your home. How important is the city and do the people give you strength and confidence to play and dream? I think home is important no matter what you do: it’s a place that’s always familiar no matter how much things change when you’re away. The more I travel, the more I realise how unique Manchester is for nurturing dreams – and not judging people who dream. You’re very much allowed to have ideas above your station in Manchester - it’s not always the case in other places. What else do you do outside of music? Do you have time to explore other avenues and passions? Luckily, the collaborations and projects I’ve been involved in over the past three years have been really incredible - so they have allowed me to explore some of my other passions. I wrote two live film-scores; collaborated with Travis on their last album - and wrote and toured with Matthew Halsall and his Gondwana Orchestra. Nothing to announce right now but I’m in the process of working out the schedule for the next few months…so keep an eye on my website for announcements. Check out Shunya and Natalie McCool. Real Synch-Folk full of weird moments. I love it because it’s full of performances never to be repeated. It (just) reminds me of my family; about being young and not really knowing what music was about - but knowing that it was powerful. When I heard this album, I just couldn’t believe it. The production, performances and songs are exceptional. It’s an album that really stays with you and you can’t forget. Hmm…advice? Same as I’d give anybody really, musical or not: have a plan.